Valued as a noteworthy entity of this domain, we provide clients with the superior quality of Fuel Dispensing Hose in various technical specifications. Used in petroleum based fuel dispensing applications, the fuel dispensing hose precisely exceeds the requirements of IS 2396. The temperature range of these fuel dispensing hoses is -40 to +55 degree centigrade. Being a market leader of this domain, we present clients with the superior quality of Fuel Dispensing Hose. The fuel dispensing hose is constructed from synthetic rubber inner tube and is ideal for use in petroleum base fuel dispensing applications. 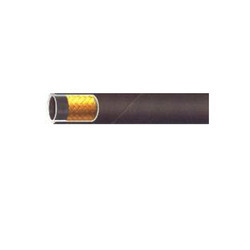 Thermal stability, easy installation and sturdy construction, make the fuel dispensing hose highly demanded. Dedicated and hardworking professionals leave no stone unturned in providing clients with the high grade of Rig Hose. 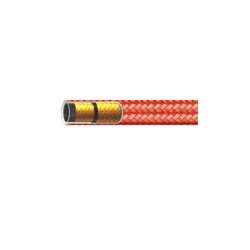 Specially designed for transmission of hot air applications, the rig hose is made from high grade rubber inner tube and two high tensile steel wire braids coupled with rubber covering. The temperature range of these rig hoses is -40 degree to +120 degree centigrade. Looking for Fuel Dispensing Hose ?